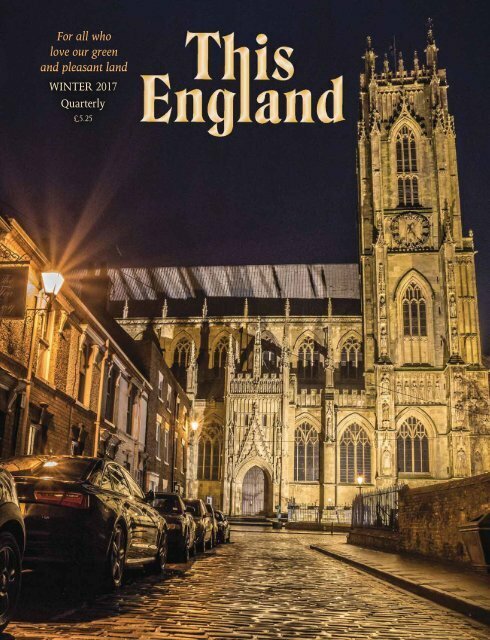 This England is the quarterly magazine for all who love our green and pleasant land and are unashamedly proud of their English roots. Published since 1968 the magazine has now become one of England’s best loved magazines and has a readership of over 115,000 people from around the world. As well as being popular in England it outsells all other British heritage magazines in Canada, Australia, New Zealand, South Africa and is sent to readers in every country of the world. Published in Cheltenham, in the heart of picturesque Gloucestershire, the magazine is edited, printed and despatched direct from England. Subscribe today and celebrate all that is best about England and the English way of life. Page 40 and 41: About as patriotic as one can get!